A couple of years ago in Seattle, Melrose Market opened on Capitol Hill. It was pretty darn awesome, but not that notably unique for Seattle's food scene. Several food purveyors and restaurateurs devoted to all things artisanal opened up in a building that was formerly an auto-repair shop. Locally-focused, trendy, and so Seattle, I of course loved it. My favorite Seattle restaurant, Sitka & Spruce was one of the main features of the market (it'd relocated from its previous space by Lake Union), and Dan and I went there for our first night out after Willa was born. Since moving to Denver, I've missed Seattle's food culture. And places like Melrose Market. But Denver continues to surprise me, and months ago I was estatic to hear news of The Source. When I read about the project, I knew it'd be very similiar to Melrose. I've been dying to check it out for the past few months, and I finally got there the other day. 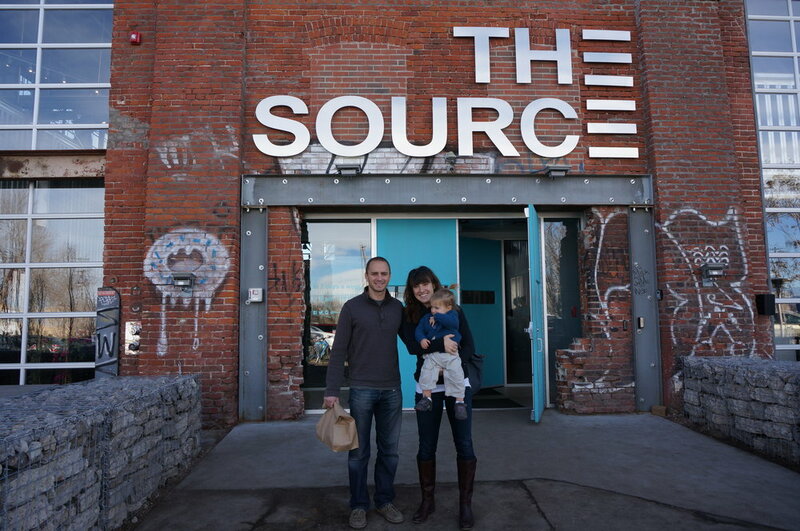 My sister was still in town (which was awesome) and I thought The Source would be a fun place to spend a few hours. And thankfully, but not surprisingly, it was. The Source does, indeed, have all the same fantastic traits as Melrose, but with a Denver flair. 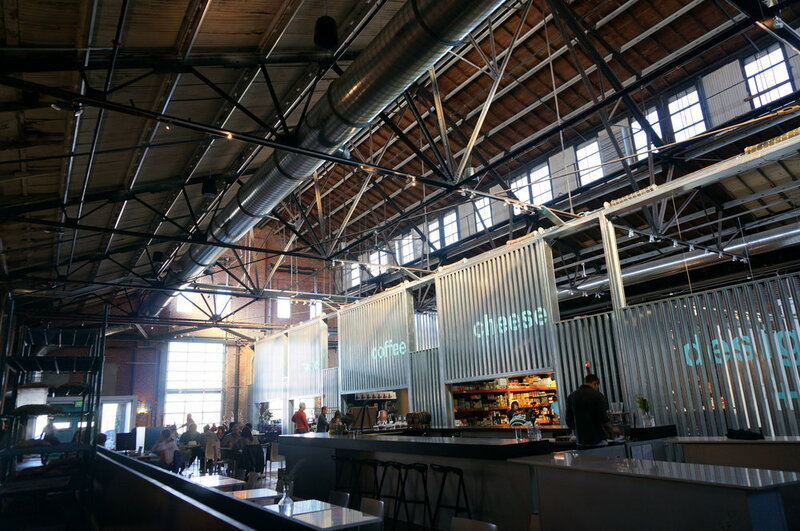 In a converted factory building-- it's BIG. There's apparently room for 25 vendors, but the dozen or so that currently occupy the space already offer up a great deal. It was kind of an amusment park for people who love food. Coffee! Fresh bread! Meats! Beer! Kombucha! All local. All delicious. And actually, shockingly, all reasonably priced.